...and ultimately find the right senior living community. The potential to reach these prospective residents and their loved ones has never been higher. 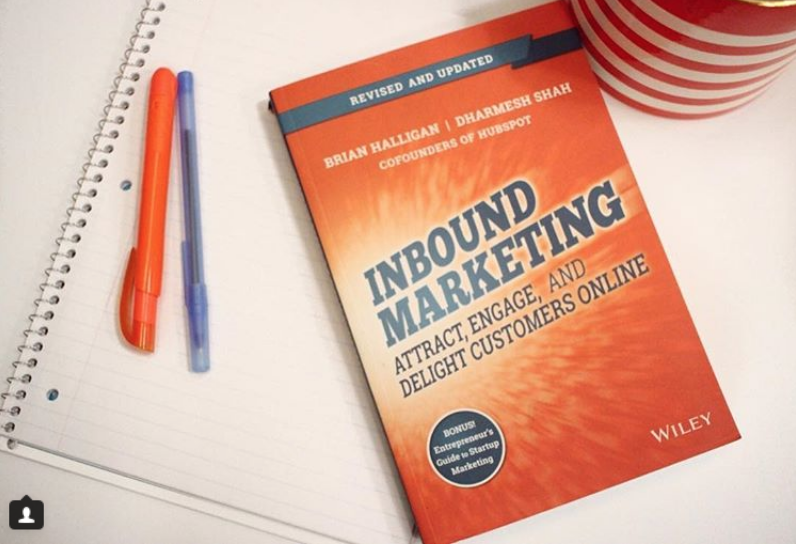 An inbound marketing strategy is essential to reach them with the right content and drive action. Picture your website as the hub of a bicycle wheel. All your inbound marketing tactics are the “spokes” driving traffic into your wheel, working together to keep the bicycle moving forward. Without a solid hub, the spokes get wobbly and your bicycle doesn’t move or worse, falls apart. Websites are a major investment for senior living communities, which means they’re often an area where communities like to cut corners. Avoid cutting corners on your website. Implementing an effective marketing strategy for your senior living community hinges on an effective website. What makes an effective website? It’s built to convert. Avoid sharing every possible detail about your senior living community on your website. Your goal isn’t to overwhelm prospective residents with a dizzying array of information but to give them the RIGHT information to incite them to act — in other words, make an appointment to come tour your community. Standards for sites that successfully convert are constantly evolving, but typically sites that perform well have short, concise and action-driven copy, strong calls to action, clear navigation and strong visuals. Unless you are a cutting-edge web developer who is up to date on the latest programming trends and protocols, you absolutely should not be building your own senior living community website. Hire a professional. It’s built for your audience. As with any marketing tactic, it’s important to keep your audience in mind when building and maintaining your website. Crafting content that’s specific to prospective residents and their caretakers — content that answers their most common questions and addresses their most common concerns — can help convert website traffic into leads and ultimately, residents. Delivering that information in a way that’s easy and accessible for seniors and their caretakers increases the likelihood of visitors converting into leads. It’s updated frequently. When thinking about your senior living community’s website, avoid the mindset of “set it and forget it.” Your website is a dynamic element that should be updated to reflect the growth and change of your community. That could mean adding new images or video, refreshing copy or adding things like blog posts, landing pages and other inbound marketing content we’ll talk about later. Your blog is one of the most dynamic areas of your site. It should be constantly changing and growing, and keeps your site fresh for returning visitors. A site that’s frequently updated with new content tells visitors — either directly or subconsciously — that your senior living community pays attention to the details, stays on top of things and cares about helping people make the best decisions for their family and loved ones. Blog posts are articles that help you dig deeper into topics of importance to prospective residents and their caretakers. Usually not too long (under 1,000 words), these articles focus on one specific topic of relevance. They provide information to help seniors and their kids make critical decisions. For your senior living community, search engine optimized blog posts can also help drive significant traffic to your site. Through strong calls to action, they can keep traffic on your site, exploring more of the valuable information you provide. One of the best parts about blogging is that the more often you post, the more credibility Google and other search engines assign to it. That means that posting search engine optimized, relevant content frequently over time, increases the likelihood that your content performs well in those search engines. A commitment to blogging gets results. Think about the challenges and goals facing your prospective residents and their loved ones. Also, think about some of the challenges and goals your senior living community faces when meeting with those prospective residents and loved ones! Addressing those challenges and goals through your blog will not only make everyone’s lives easier, it will build trust and demonstrate your commitment to care and helping before a person ever visits your community. When someone signs up to receive emails from your senior living community, they are inviting you into their inbox. 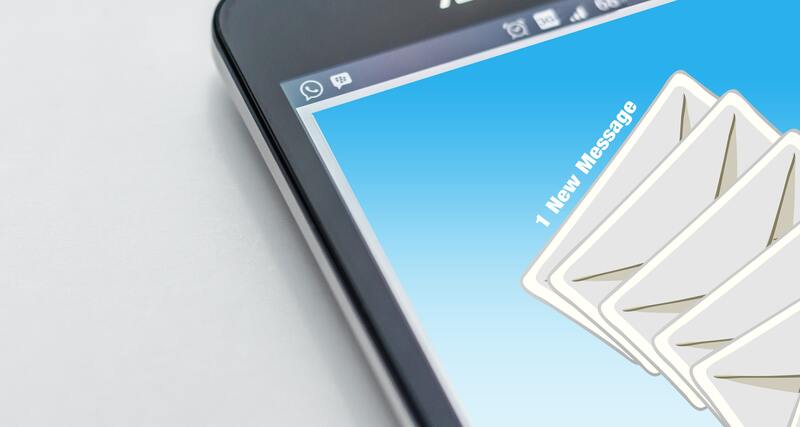 Just a few years ago, many marketers thought email marketing was dead, that consumers were tired of having their inboxes filled with commercial messages. Email marketing isn’t dead, but spam and irrelevant advertisements have largely met their demise. The most powerful email marketing today focuses on value. Short, impactful emails that make the lives of your prospective residents and their loved ones easier usually perform very well. And one particular aspect of email marketing that makes it particularly attractive and effective is its trackability. Inbound marketing tools like Hubspot allow you to see how email subscribers are interacting with your content. Who is clicking what and where, who is opening your emails, or who is deleting them without ever taking a peek. Tailor content to prospective residents or loved ones, whether they are five years from choosing a senior living community or two months. 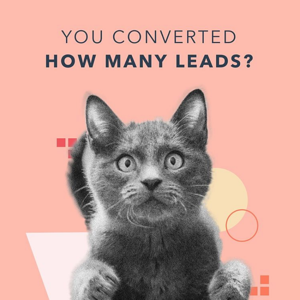 When we talk about conversions and opt-ins, email marketing is how we leverage those opt-ins to stay connected, nurture the leads and drive further action. It is a powerful tool and one of the most critical “spokes” in the hub of your bicycle wheel. While these other “spokes” work together to create results, online ads can have a potent effect on the success of the other six elements. That’s because they get you front and center with precisely the correct audience for your senior living community. They instantly break through the online chatter to deliver your message precisely where it should go. Online advertising can be pricey, and prices for keywords targeting prospective senior living community residents and loved ones can get pretty high. As a result, it’s often best to use online advertising to reach individuals later in the buying cycle, who are ready to visit prospective senior living communities and make a decision, rather than people just beginning their senior living research journey. To maximize your online ad budget, choose keywords that are most likely to reach those prospective residents and loved ones who are ready to take action. Crafting copy that resonates to get clicks is an important skill to maximize your online ad budget. 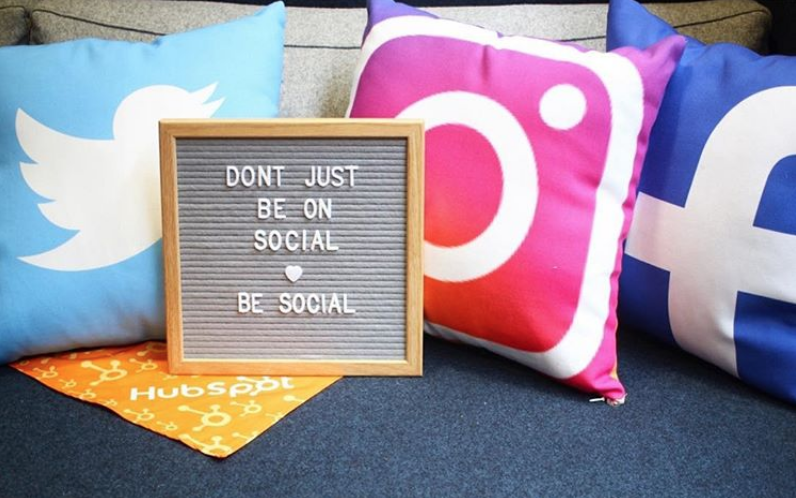 When you’re just starting to implement your inbound marketing strategy, social media can be a powerful way to drive traffic to your website. Its potential runs even deeper than that, however, as social media has become an integral part of many users’ days. Facebook in particular has been integrated into peoples' lives much like turning on the news or reading the paper (in fact for many, it has replaced reading the paper or watching the news!). More than half of Facebook users report checking the mobile app several times per day . See those people staring at their phones in the waiting room at the doctor or in line at the supermarket? They’re probably checking Facebook! Although other social media sites have potential for senior living communities, Facebook is where the most people are spending time (particularly seniors and their grown children), so for most communities it makes sense to focus their efforts, at least initially, on the #1 social media site. Use Facebook and other social media sites as a way to open conversation. Remember, it’s called social media — prospective residents and their loved ones will use these channels to ask questions or air concerns, and it’s critical that you respond. The ensuing conversations will build trust and expand your reach (when individuals interact and engage with your content, it increases the reach of your content beyond your own “likes” and to your followers’ networks as well). When crafting content to post on social media, try to think like a social media user. Sometimes it makes not to think like a marketer. What types of content do you engage yourself with when you’re on social media? Your social media strategy should include some content like that! Pictures, questions, other conversation starters, and short videos all tend to build trust and a comfort level with your brand, and ultimately perform well. Of course, sharing your blog content, eBooks and other content you’ve created is essential to generate traffic and convert your social efforts into real leads. Carefully craft your social posts around this content and resist the urge to simply paste links with a directive to “Check out our latest blog.” Instead, tease your audience with a snippet from your content or ask a question to pique curiosity — get creative to inspire clicks and not simply likes or comments. TIP: Remember, it’s not enough to share a link to good content. Your content is competing with potentially hundreds of others in your prospective residents’ feeds. The responsibility falls on marketers to make their content stand out and perform well to get results. There are some topics that require a bit more than a blog post or short video. Choosing a senior living community is ripe with many small decisions and checklists to ensure nothing is forgotten and the process is as seamless as possible. Your senior living community can provide critical tools and information and convert more traffic into leads through in-depth downloadable content or “lead magnets.” You’ll share those pieces and enter those leads into your sales funnel on landing pages. Landing pages are actually very simple pages. Often, there is an image of your downloadable lead magnet, an email opt-in form (so that you can both send leads the downloadable tool and enter that person into your email marketing list) and short copy designed to entice those page visitors to download your valuable resource. Creating effective landing pages is both an art and a science — strong copy and visuals are key, and A/B testing of different designs and copy can help you determine where to focus your efforts. TIP: Ask for more info than an email address in your opt-in form so you can segment and tailor future email messages to prospective residents and loved ones depending on their specific situations and their readiness to move. Your senior living community likely participates in a significant amount of event marketing. It engages the greater community, showcases your amenities and also offers a nice opportunity for residents to mingle with new faces. If we were to stay with the bicycle wheel analogy, you could say that event marketing is the bike pump putting air into your tire. That’s because event marketing infuses the six inbound marketing tactics discussed previously with air to make them even more successful. You should share your events on your social media channels and in your email newsletter. You could take pictures or short videos and promote on social media as well. You could do a short write up with key takeaways from the event and publish on your blog. Exhausting, right? And you thought all the work just went into the event itself! A carefully crafted inbound marketing strategy for your senior living community can turn your online presence into a well-oiled machine (okay, a bicycle! ), keeping your community moving forward and in growth mode. Don’t panic if you’re not employing all seven of these tactics in your strategy right now. Instead, take a look at your metrics to determine how well your strategy is performing. Identify areas where you can implement some of these tactics to take your results to the next level. We’ve laid out the groundwork for you here — now it’s time to run with it. ClearPivot works with senior living communities to help them find their perfect residents and stay in growth mode. We’ll help you increase your sales and residency rates through a powerful inbound marketing strategy. In fact, we’re a Hubspot-certified inbound marketing agency, which means we’re uniquely qualified to craft and deploy a powerful strategy for your senior living community.